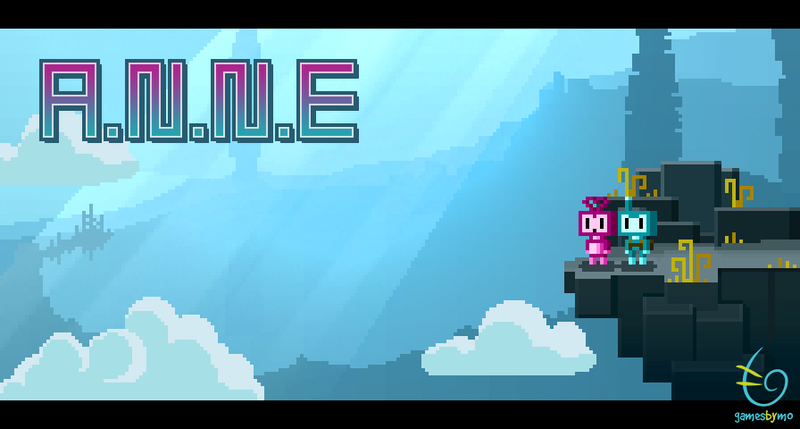 At PAX East, I got my hands on a new game called A.N.N.E. by indie developer Gamesbymo. The game’s creator, Moise “Mo” Breton, describes A.N.N.E. as a platformer/RPG/open-world space shooter. It features a blue robot named Number 25, who’s on a quest to find all the pieces that make up his robotic friend A.N.N.E. It seems she and Number 25 have fallen in love. Robots who fall in love, however, are treated as defects in their world. A.N.N.E. is banished to a planet where other defects go, and it’s up to Number 25 to get her back. In the demo, I played as Number 25, and it was my mission to find one of the 110 pieces of Anne. 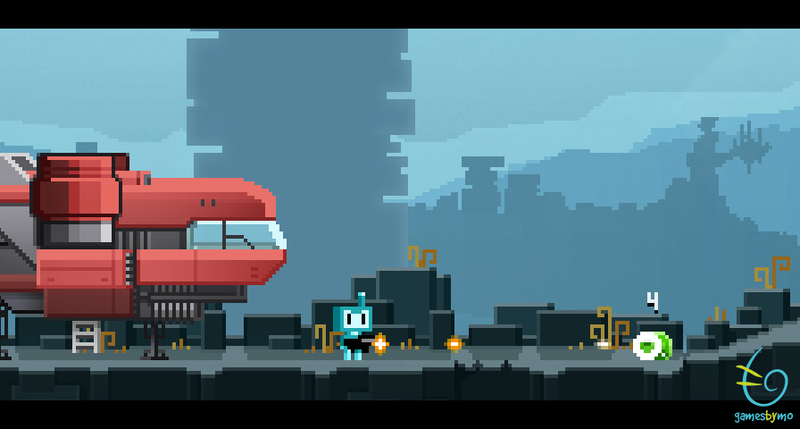 The demo exists to show off the game’s mechanics and art design the most. As I ran around, jumping across platforms and shooting at enemies, it became clear to me that this is a title that has potential. While standing in line to play, there were people bringing up how it reminds them of Cave Story‘s gameplay, but I don’t think it’s close enough to really warrant such a comparison. Once the platforming was finished, I took flight in a spaceship to move around some blocks in the game’s level. Then, when I landed, I was able to jump to a new section I wasn’t able to reach before. It was probably the best mechanic that was shown off. I think it’s something we see more and more in games. Just personally as a gamer, I think we want to be able to have a certain say or a certain choice in a game. People will often give their games the feeling of choice, but I want to give real choice to the player. Go where you want, equip what kind of abilities you want—abilities that can affect how you play. —Moise “Mo” Breton, creator of A.N.N.E. It looks like Mo is planning on having A.N.N.E. launch on Kickstarter around the last week of April. A.N.N.E. is being developed for PCs.